Google Identity Management – RADIUS Server? Home » Blog » Google Identity Management – RADIUS Server? As Google works to expand their product offering in the identity management space, a common question is whether they can support RADIUS. Google has a number of IAM initiatives in the works including G Suite Directory, Google Identity Management Services, Google Identity, and more. It’s a strategy that spans both consumer and business solutions. But, many IT admins on the business side are interested in whether Google Identity Management can serve as a RADIUS server. The short answer is no. Google’s approach to cloud identity management doesn’t include RADIUS support. The long answer is that a third party solution that is tightly integrated with G Suite functions as a cloud RADIUS platform leveraging G Suite credentials. To understand the overall process of how you can leverage RADIUS-as-a-Service with G Suite, you need to step back and understand how the Google’s Identity Management approach has evolved. When Google created Google Apps (now known as G Suite), their focus was on dislodging Microsoft Exchange and Office. Google was interested in becoming the productivity platform of choice, and they wanted to deliver that from the cloud. At the time, Google felt that they could build a scalable product replacing Exchange, Windows Server, and Office. The thought of replacing Active Directory at the same time seemed like too much. AD required far more on-prem involvement, and the thought of a cloud directory hadn’t really occurred to anybody. The identity provider was still thought to live on-prem, and they thought that it would remain that way for the foreseeable future. Fast forward to the present day, and the world is very different. G Suite has made a significant dent in the Office productivity market, and they are now locked in an intense battle with Office 365. Mac and Linux devices have replaced many Windows machines, and applications are often delivered from the cloud. 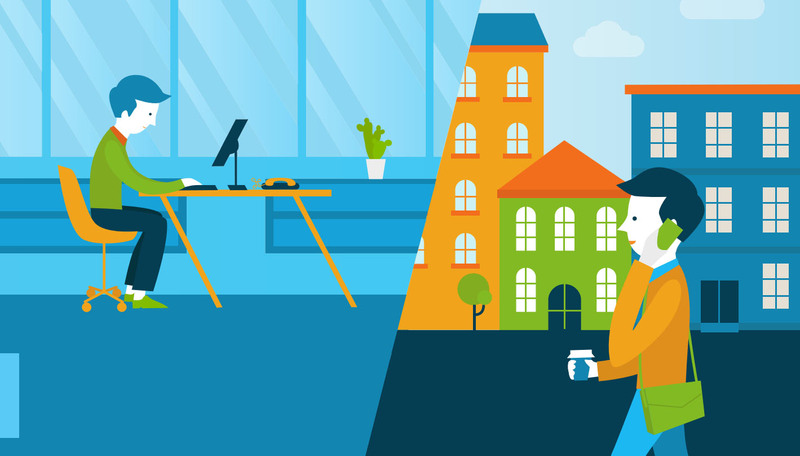 The concept of Active Directory isn’t appealing to IT admins, but neither is a closed user management system for G Suite only, which is effectively what G Suite Directory is. Google is trying to make inroads into providing broader support with SAML and OAuth. However, the concept of a RADIUS server in the cloud is dramatically different than supporting SAML. Even a cloud LDAP solution is significantly different as well, as is support for AWS, Office 365, and systems such as Windows, Mac, and Linux. The result of this is that it has left IT admins looking for a true unified cloud directory service. That solution is Directory-as-a-Service® (DaaS). The platform is tightly integrated with G Suite, AWS, and Office 365. IT admins simply need to point their WiFi network to the cloud RADIUS server infrastructure supported by the cloud directory. Then, G Suite credentials can be leveraged as the unique logins to the WiFi network via RADIUS. Those credentials can also be used for their systems, cloud servers at AWS, Office 365, and more. 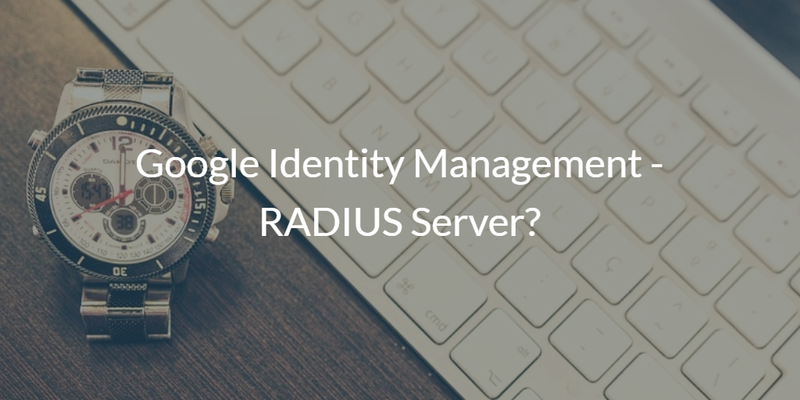 If you would like to learn more about why Google Identity Management doesn’t support RADIUS servers, drop us a note. We’d be happy to walk you through the issues, as well as how our cloud directory can be used in combination with G Suite. Additionally, feel free to sign-up for a JumpCloud IDaaS account and see for yourself. Your first 10 users are free forever.